Looking for original, easy-to-understand craft patterns? Adeline's offers a wide variety of 100% original, homemade craft patterns along with some of the hard-to-find craft supplies to make them . . . Santas, gnomes, elves, reindeer, penguins, bunnies, Christmas ornaments, snowmen galore, & much, much more. 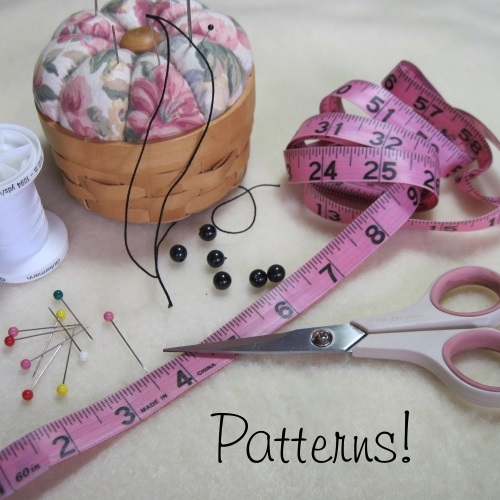 Over 150 craft patterns to choose from!!! In this cookie-cutter society, it is so refreshing to receive a homemade craft that didn't come off of an assembly line. My original craft patterns are available in both instant downloads & paper patterns. The best part is all craft patterns have FREE SHIPPING in the continental United States!!! Everyone who signs up for my newsletter will receive a free e-pattern: "Snow Happy". A quick, easy pattern to make cute snowman face ornaments that doesn't even involve a sewing machine! After I receive your subscription notification, your free pattern will be emailed to you within 24 hours. See for yourself how fun and rewarding crafting can be! Adeline's news, and your free "Snow Happy" e-pattern!